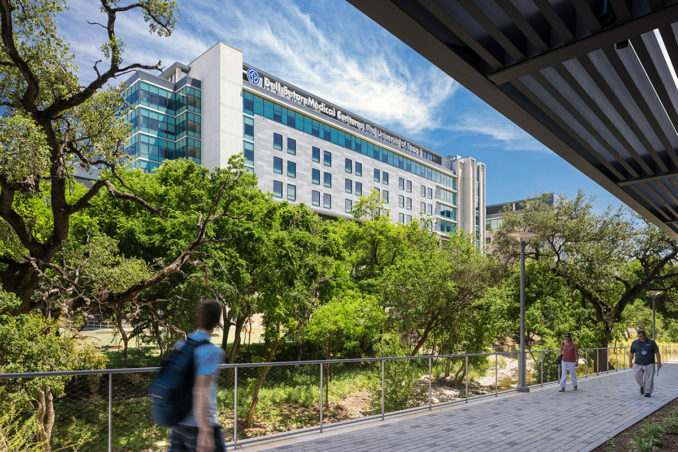 The Dell Medical School and its teaching hospital, Dell Seton Medical Center, are part of a vibrant health district that is one of Austin’s largest development projects. 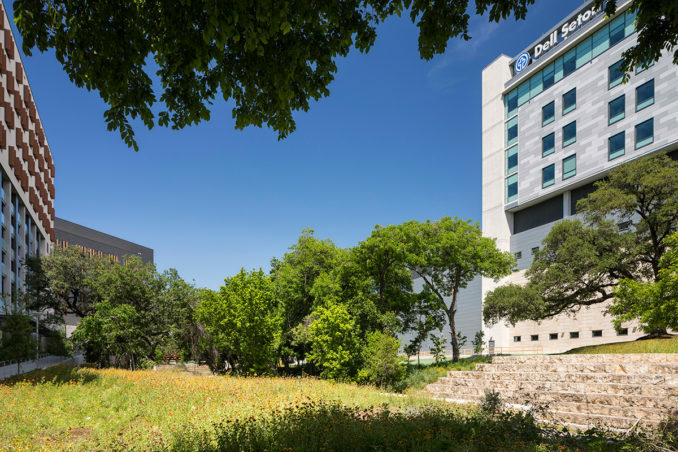 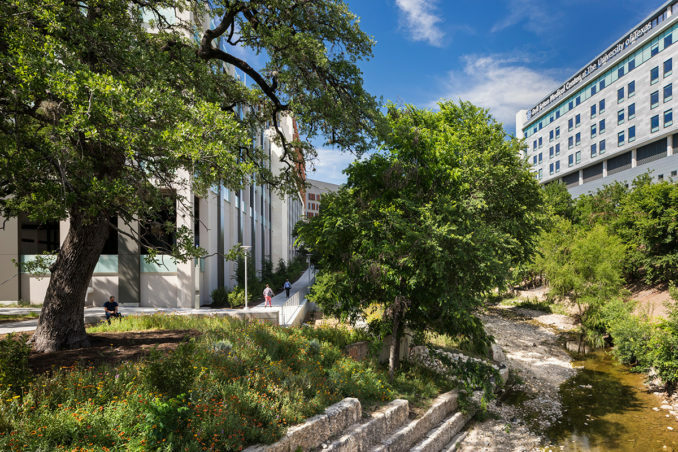 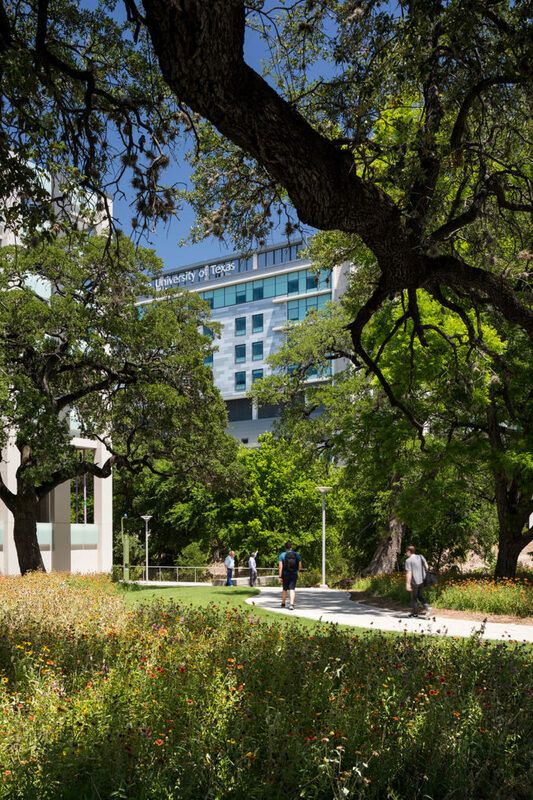 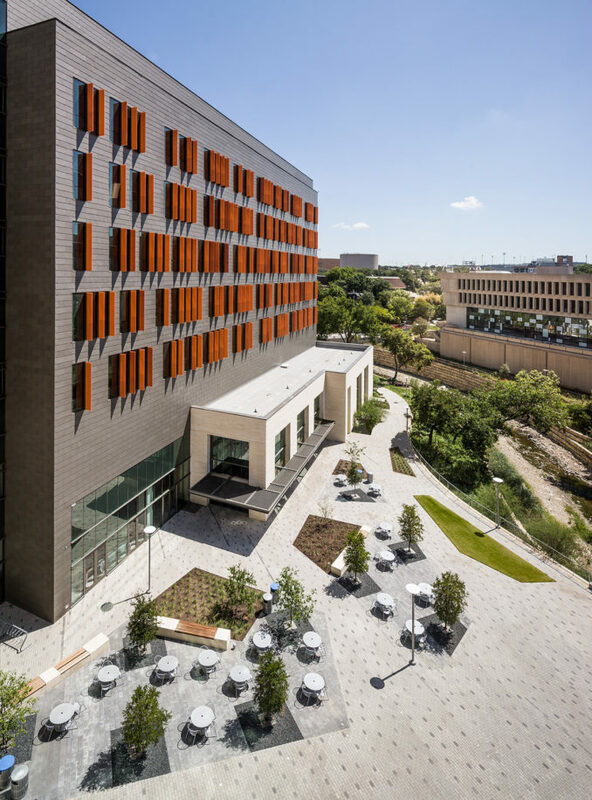 The 16.2-acre development is located in central Austin on the University of Texas campus—serving the faculty, staff, students and visitors of the Dell Medical School and setting a new image and ecological performance standard for the UT Austin landscape. 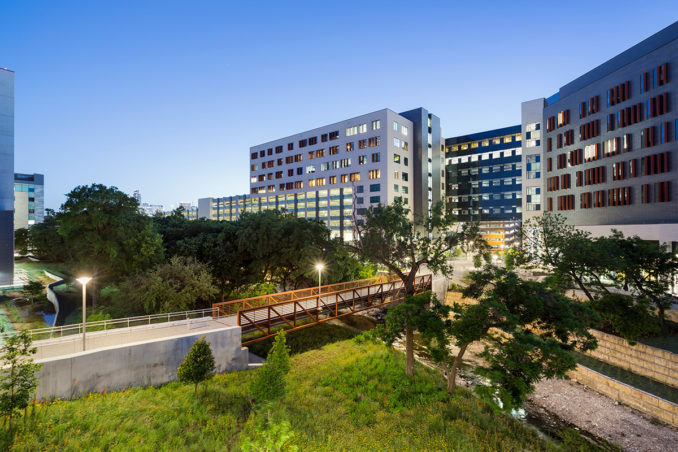 The design process for the Dell Medical District landscape was a seamless extension of two previous years of planning by Sasaki and the consultant team. 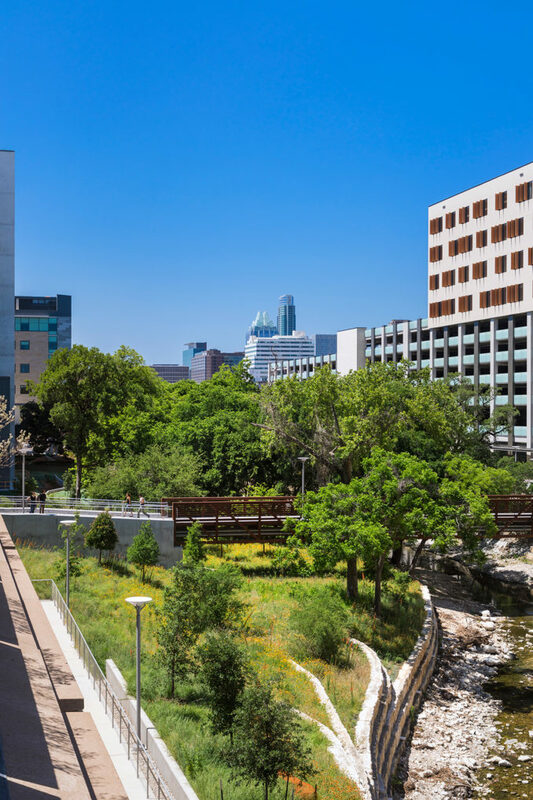 The team had already developed the 2012 Campus Master Plan, the 2013 Medical District Master Plan, and the 2014 UT Austin Campus Landscape Master Plan and Design Guidelines. 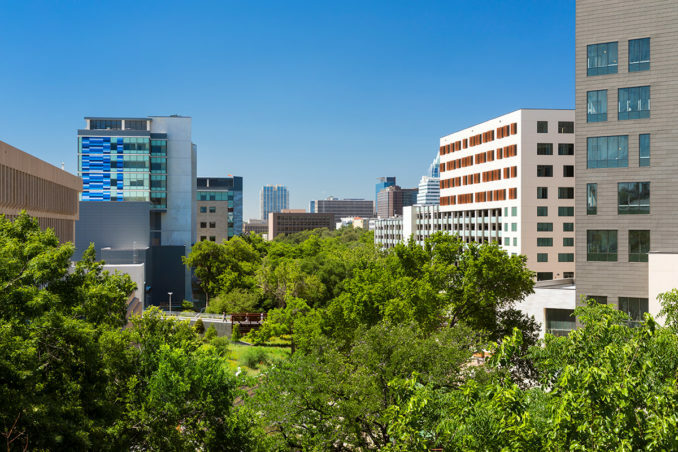 The development of the Dell Medical District landscape plan employed the same broad-based, inclusive process that characterized the preceding master plans, furthering established collaborations with those responsible for the development and maintenance of the campus landscape. 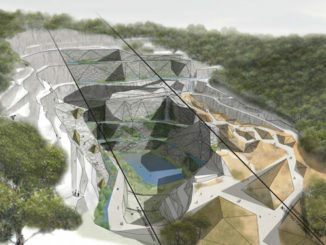 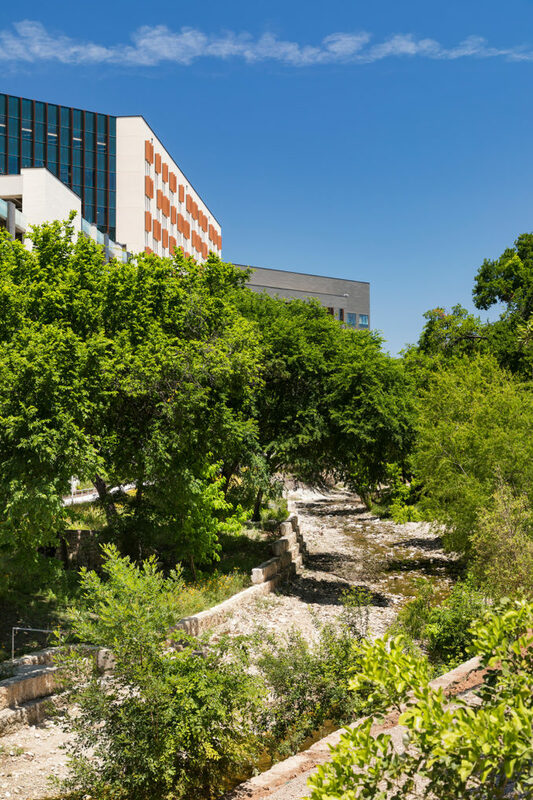 Once neglected, Waller Creek is now celebrated as a campus asset and important connective open space. 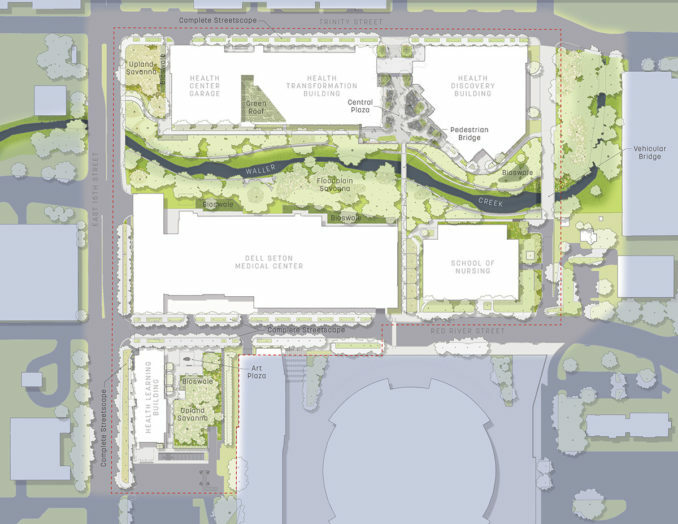 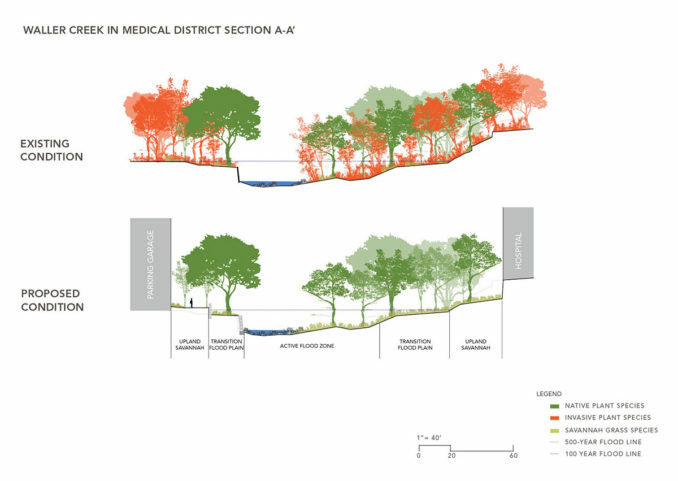 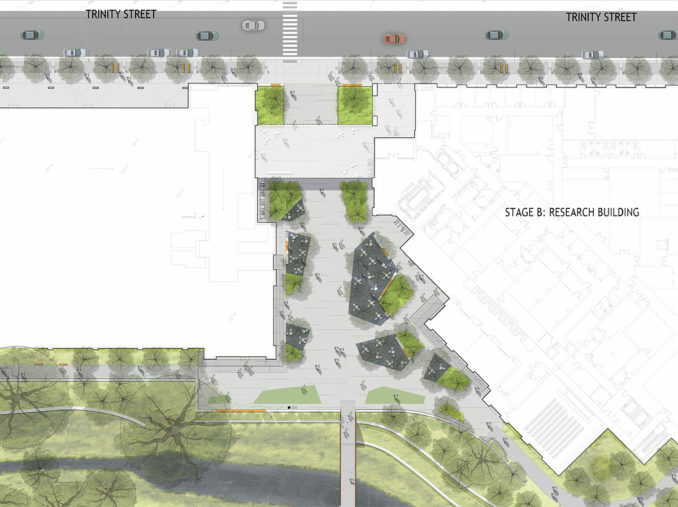 Reclaiming the medical district segment of the creek is a first step towards the reintegration of this important visual and functional landscape feature into the larger campus.